In chemistry, a mole is a quantity used relate reactants to products in stoichiometric equations. A mole of any substance is equal to 6.02 x 10^23 particles -- usually atoms or molecules -- of that substance. For a given element, the mass (in grams) of one mole is given by its mass number on the periodic table; the "molar mass" of a molecule is the sum of the molar masses of the elements in the molecule in the correct ratios. It is simple to determine the molar mass of elements and molecules using the periodic table, as well as convert between grams and moles. 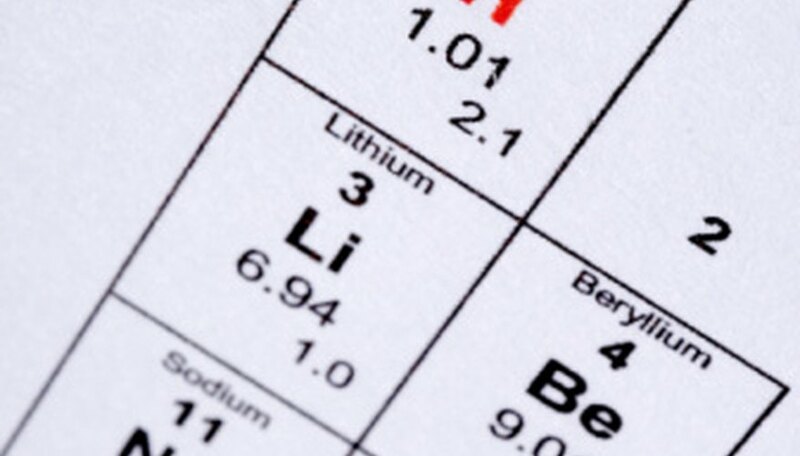 Find the element lithium (Li) on the periodic table. The atomic number for lithium is 3, representing the number of protons in the nucleus of one atom. Note that the mass number of lithium is 6.94, representing the sum of the numbers of protons and neutrons in the nucleus of one atom. Note that the mass number is equal to the mass (in grams) of one mole of lithium; this is the molar mass of lithium. 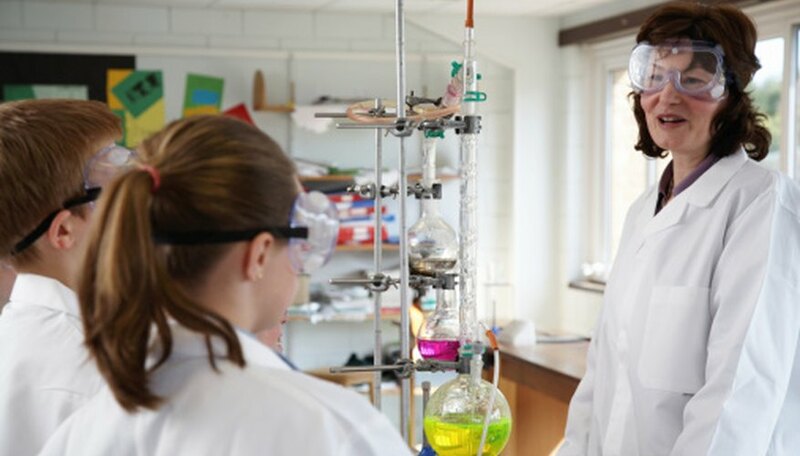 Determine the molecular mass of carbon dioxide (chemical formula CO2). Find carbon and oxygen on the periodic table. Note the masses of carbon and oxygen from the periodic table, which are 12.01 and 16, respectively. Calculate the number of moles of water in 600 grams of water (H2O). Find hydrogen and oxygen on the periodic table. Solve the equation in Step 2 to find that there are 3.33 moles of H2O in 600 grams of H2O. Judy Tyler has been writing articles for scientific journals and popular science magazines since 2000. Her work has been published in several journals and conference proceedings. Tyler holds a doctoral degree in biology. Tyler, Judy. " How to Determine Moles in Chemistry." Sciencing, https://sciencing.com/determine-moles-chemistry-8561700.html. 24 April 2017.